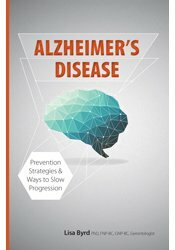 Nationally respected Gerontologist Lisa Byrd has brought together the latest preventative research, along with the newest techniques to slow age-related cognitive decline in a breakthrough book on the management of Alzheimer’s. Filled with strategies, activities and approaches - cognitive interventions, exercise plans, diet solutions, ways to promote social engagement and medication treatments. Case studies and personal experiences highlight this must have resource for anyone working with Alzheimer’s, dementia and delirium patients. 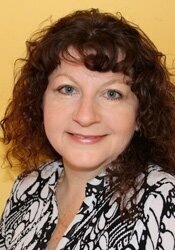 Lisa Byrd, Ph.D., FNP-BC, GNP-BC, Gerontologist, is an expert in caring for older adults and a seasoned Certified Nurse Practitioner, Family Nurse Practitioner, and Geriatric Nurse Practitioner. She treats numerous patients in nursing homes, an outpatient clinic, and hospital inpatient settings.